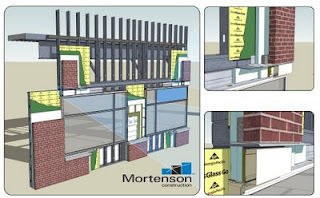 We just posted a great case study about Mortenson Construction and their use of Google SketchUp to improve overall performance on their projects. Below is just a part of the case study - if you would like to learn more, read this story in its entirety (and see more images). Mortenson Construction approaches each new project by building a specialized, cross functional team that brings integration to the job site. The common goal is to deliver each project as a whole team, not through siloed job functions. Encouraging collaboration and teamwork on a job not only fosters strong working partnerships between clients, contractors, and employees, but also reduces costs while improving quality and schedule performance. This strategy includes new approaches for planning, managing, and executing projects. Remaining flexible, and adapting to software solutions on a project by project basis helps Mortenson maintain a competitive edge. Google SketchUp Pro has become a valuable tool at Mortenson, in part due to its ease of use. "The learning curve is small. Project teams pick it up quickly to provide immediate visual communication," says Ricardo Khan, Integrated Construction Manager. Recognizing the benefits of 3D early on, Mortenson began using 3D CAD solutions which required a CAD expert to create models. This solution was costly and time consuming. SketchUp drastically reduced the barriers to entry of working in 3D. The company found that employees were empowered to use the tool to generate information about a project and share it with others. The use of SketchUp to enhance communication among project teams has become a standard at Mortenson. 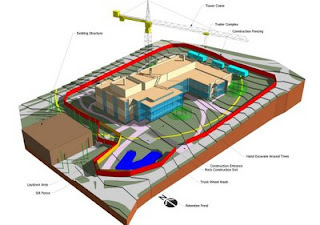 SketchUp models are used in formal RFIs from the job site to communicate issues and discrepancies in the project details. The fundamental goal is to improve the project experience for everyone involved while reducing project cost. The use of SketchUp has proliferated through the company since their first use in 2005. Today, every operating group uses SketchUp in some capacity. Khan was quick to point out that it's not about creating pretty pictures or cool 3D models at Mortenson. "We wouldn't be using it if we didn't see measured results showing increased efficiency and productivity." In many cases, having a virtual mock-up of a project can eliminate multiple versions of costly physical models. On one project, the use of SketchUp allowed the integrated construction team member to model 4 separate highly detailed virtual mockups in place of one physical mockup, which provided a cost aversion of $144K and a more effective means of problem solving. Derek Cunz, Director of Project Development notes, "Mortenson has been focused on advancing the art and science of construction through the use of virtual design and construction for over 10 years. SketchUp is a great tool in our arsenal to further our efforts." I don't get it! What's the case study? I don't get it! What's the study about? Is it just me? or is the animation choppy? Why does this happen?